Tender Touch featuring Tencel has been designed especially for sensitive skin and is the ultimate luxury sleep experience  smoother and more absorbent than cotton, stronger than polyester and as soft as silk. Tencel works by drawing moisture away from the surface of the skin into the inside of the fibre and then releasing it back into the atmosphere. This creates a clean, cool, hygienic and fresh sleep surface which is particularly suited for use with memory foam. 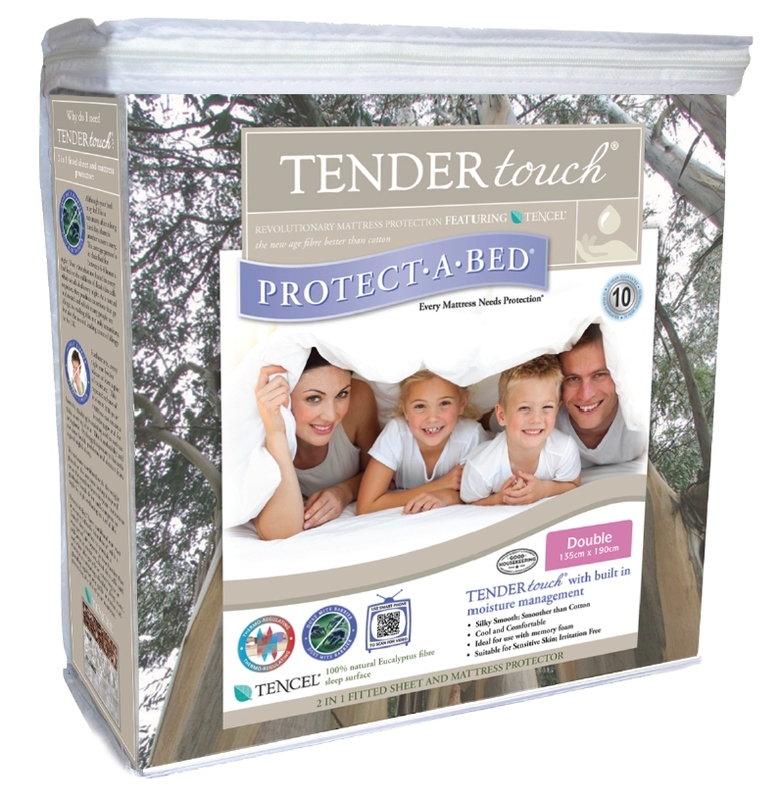 Tender Touch is part of the Protect A Bed range.